Lippalaituris ground support is suitable as a support element for building different types of fixed docks. 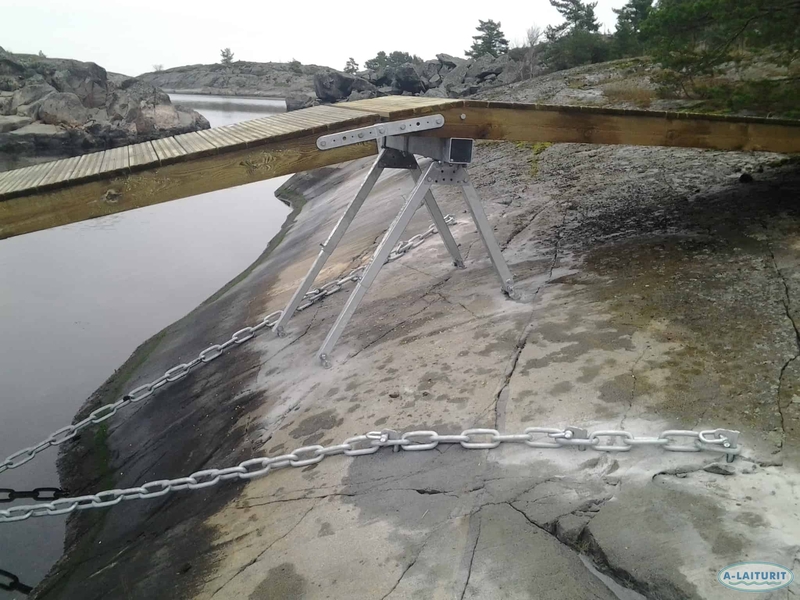 Due to their adjustable legs the support poles can be installed on nearly any kind of rock shore. The recommended size of the dock is about 5 m x 1.2 m. The 4.8 m gangway, also an A-Laiturit product, serves as an excellent deck when placed on the support element. 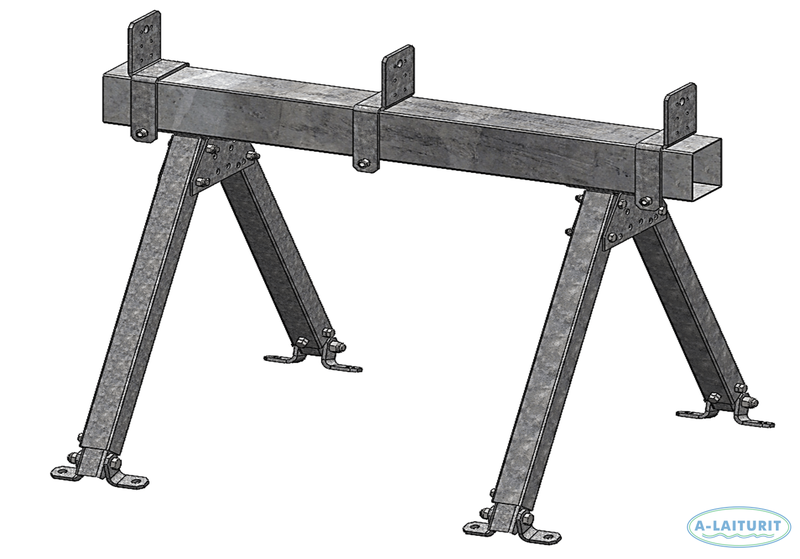 The support beam is hot-dip galvanized. 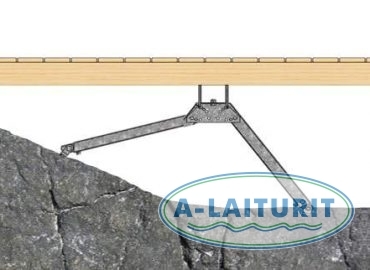 The beam can also be used for supporting the gangway of a dock.